There are several sections here at Megakat City for posting topics. This is to give you citizens a clear explanation of what goes where should you be unsure. - Introduction and Info This is where you are now. Posts here contain information about this forum and most likely won't have many threads. - Rules Where you can find the rules as well as any new additional rules made in the future. - Tech Support If something in the forum isn't working or you are unsure on how to use the forum, this is where you can post. The mods will get to your issue fairly quickly, at least within a day or two of your issue. - Episode Discussion This is where we discuss each individual episode in depth. - SK Show Discussion This is where topics relating to the series go. Things like "Why do the SWAT Kats not wear shoes?" or "There's an animation mistake where Razor's ear is blue." or "Ann Gora's earrings look more attached to her face than her ears." go here. - Kats Eye News Have the Tremblay brothers made an announcement about the status of the series? 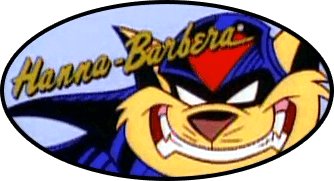 Is there a new RPG group started based on the SWAT Kats? Has one of the voice actors of the series passed away? Things that are newsworthy fandomwise go here. Do not however make posts about things such as you added a new chapter to your fanfic or drew a new pic of T-Bone. Those go in other sections below. This section is to keep the fandom aware of important things going on. - What if? Have a personal theory of the show you'd like to share? Wonder what it would be like if Dark Kat took over the city? What was the alternate dimension Professor Hackle like? This is where OOC ideas can be discussed. Things that aren't considered canon but "fanon" go here. - Fan Art If you've drawn some SK fan art you'd like to share or found someone else's awesome fan art you want to link, post here. Both canon and original SK character art is welcome here. - Fanfics If you've written some SK fan fiction you'd like to share or found someone else's awesome stories you want to link, post here. - Other Creative Fanworks This is the place to post other things that are not fan art or fan fiction. Things like SK music videos, remixes of the soundtrack, custom helmets, icons for avatars, banners, costumes, etc. go here. - Introductions Don't let Dark Kat scare you. As it says, this is where we'd like you to introduce yourself. Share why you like SWAT Kats, how you came to find the series and why it is special to you or how long you've been in the fandom. Also if you feel inclined, tell us a bit about yourself. Just be careful and not disclose too much personal information. - General Discussion Want to talk about non-SK related stuff with other SK fans? This is the place to post threads about anything from another cartoon or anime, favorite movie, where the best place to buy a hamburger is, the latest videogame, what have you. - Forum Games This is where questionnaires, memes, add your caption to a screengrab and other forum type games go for some random fun. These do not always have to be SWAT Kats related. Always keep in mind the rules of this forum when posting. If you are still unsure of where to begin a topic, contact a moderator.